When Tom Turner, Senior Fleet Corporate Manager at Bright House Networks, attended a conference hosted by Clean Energy in California two years ago, he got an idea to help Bright House Networks operate a little brighter. Tom oversees a fleet of thousands of vehicles that serve approximately 2.5 million customers in Florida, Alabama, Indiana, Michigan and California. The company is the sixth largest owner and operator of cable systems in the U.S. and the second largest provider in Florida. 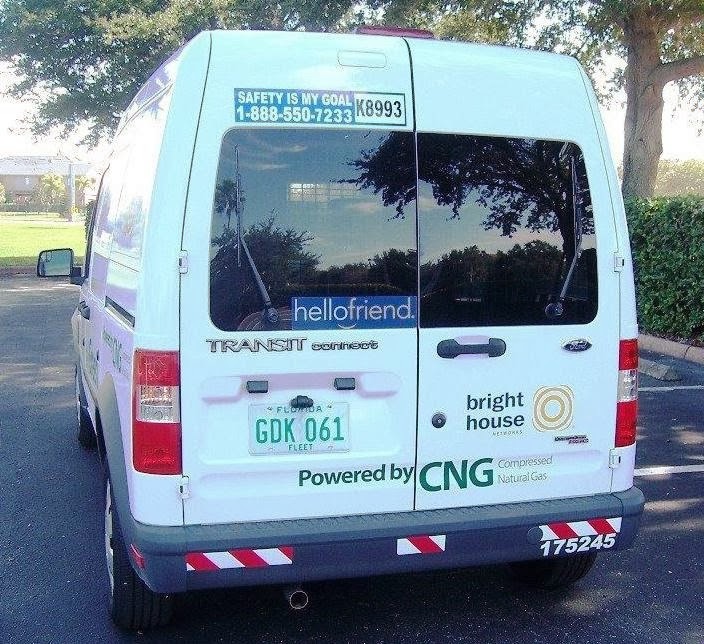 After meeting a representative from BAF technologies, a Westport company, Tom pursued the purchase of a dedicated compressed natural gas (CNG) powered transit connect vehicle. The term “dedicated” means that the vehicle operates only on CNG and is optimized to run most efficiently on that fuel. 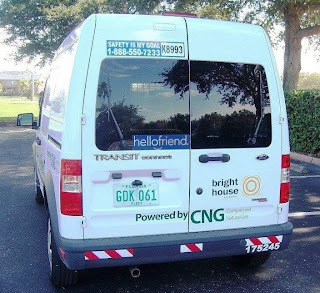 The CNG transit connect is one of the types of alternative fuel vehicles (AFVs) Bright House is using in its fleet to decrease carbon emissions. 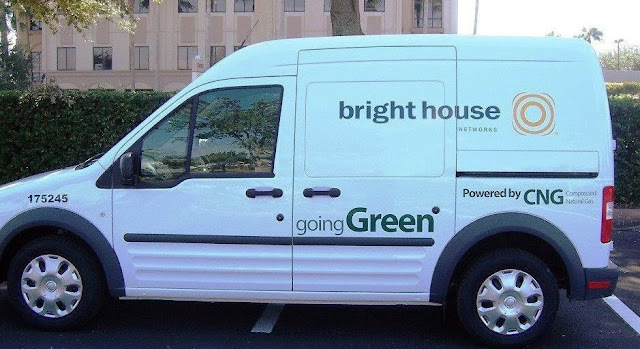 This Bright House Transit Connect is the company's first which will run entirely on compressed natural gas (CNG). The brand new Ford transit connect was shipped from Spain to Dallas, Texas where BAF installed the natural gas system. Now it’s being driven in St. Petersburg, Florida. Westport is a Ford-qualified vehicle modifier (QVM) and BAF vehicles, like the transit connect, meet the original equipment manufacturer (OEM) standards and maintain the original warranty. Tom and his team will monitor the new transit connect in Florida – that’s where a majority of the company’s fleet is located. A technician supervisor will drive about 6,000 miles over a two month period as part of his or her daily routine while fuel economy and mileage are assessed. Tom says the company’s mechanics will complete an AFV certification course. Finding a station to fill up with CNG was no problem, Tom said, as there are two in close proximity.